• Thank you for using The Calculator! We’ve made some performance improvements to give you the best possible experience. Please just make a one time in-app purchase fee! I absolutely love this app, since use it for school and it is just very simple to use while also being able to use more complex equations! My only problem is the fact that I have to pay a monthly fee just to use other calculator features that are on normal calculators is just ridiculous! 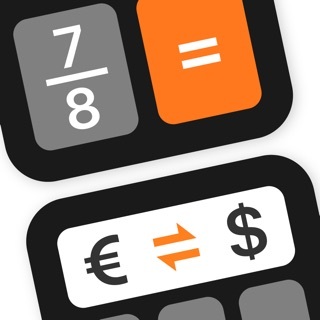 I understand that you guys want to make money, but do you really, like really need to make people pay a monthly fee just to be able to calculate fractions! I would be absolutely fine if it was a one time fee, but why a monthly fee!? This is one of the top most downloaded calculator apps on the App Store if not the best one, not to mention the little adds at the bottom (not distracting at all) that you make money off of adds which shows you already make quite a bit of money off of more than half a million user, yet you have to go even farther to make me pay for a monthly fee for features in every ordinary high school level calculator! I would rather have to pay 5-7 dollars once for all of the other features instead of being fed off of for multiple years to come of using this app. I would rate this app 5 stars right off the bat if it got rid of the monthly charge and maybe even replaced it with a one time fee. Please address this concern, and thank you so much for your time. This Calculator Ap is not annoying....it is that good! First of all, I have to say I haven’t been this excited about a calculator since I unboxed my TI-30XIIS. I am so grateful for the persistent and not at all intrusive or annoying reminders to rate this AP. Finally I am taking advantage of writing this review, which will make little or no sense at all. I’m giving the AP 5 STARS because it does calculations 1000% of the time I ask it to. And 100% of the time it gets it right each time, I mean every time. I’d love to share my experiences with this calculator, I mean serious things. I mean one time I used it to calculate the mass of the moon based on gravitational force of the earth and the given distance of the moon from the earth. It turned out to be like the weight of around 300billion elephants or something like that. Which is amazing... that I could take 300 billion elephants and put them together at about 300,000 miles away and they would compress into one another and orbit earth and probably the water and elements would separate out and maybe it would form an atmosphere from the water in the elephants and we would have a new planet or moon to escape to. So thats the impact of this AP on my life, its just grrrreat! FULL-SCREEN POP-UP ADS! Comes with free calculator. I can’t much tolerate ads flashing at me from the bottom of the screen, trying to distract me while I’m WORKING, let alone one that randomly pops up and takes over the whole screen. DELETING GARBAGE APP. (PS, developer, I see people mentioning this problem MONTHS AGO, so don’t write back asking me to change the review, pretending this is a “bug”. Months later, I install the app and experience the same problem another user reported (to which your customer service replied, “oh, it must be a bug, that’s not supposed to happen” months ago,) I’m not interested in excuses. Your app is gone. I’m not happy Apple chose to make their iPad UNABLE TO RUN the stock calculator that the iPhone comes with, even though they are ALLEGEDLY running the same operating system (iOS,) but that’s no excuse for why your app tried to interrupt my work with a full-screen ad. That just created the environment where what Apple wants to pretend is a capable replacement for a REAL, actual computer, (like a PC or a Mac,) needs a third-party app, just to be able to do basic computations, and then the app makers add insult to injury with these annoying ads. No. Just no. Done here.